I ran the 52′ Ocean Yacht, Saltitude, for a trip to the edge with the small weather window we had. Seas were nice for the ride out and we had lines in at first light. There were plenty of birds and some bait at the tip of the lindy in the 73 degree blue green water we started in but no bites. After an hour we found plenty of dolphin on the lobster pot balls and spent some time pitching to them on spinning tackle. We put 35 in the box and got back on the troll. I worked up to the NE corner of the canyon and found some bait. There was a good school of skipjack around. 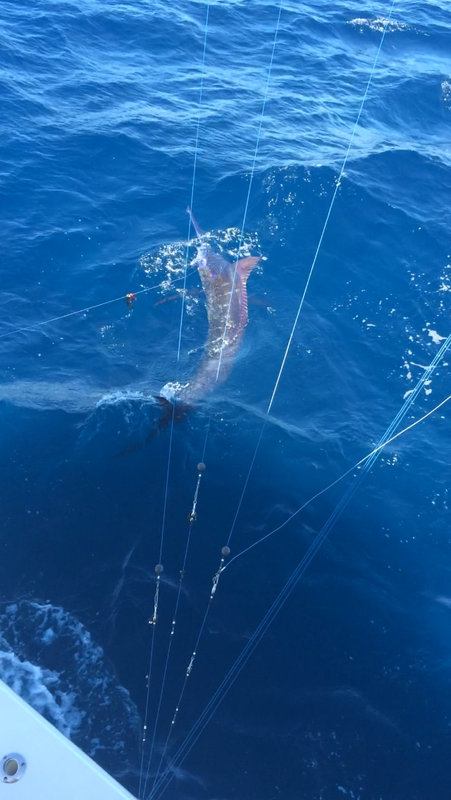 We had a white Marlin bite that was missed then had another trail a bait and not eat. Shortly after we had a nice blue eat the right long rigger and it was game on. 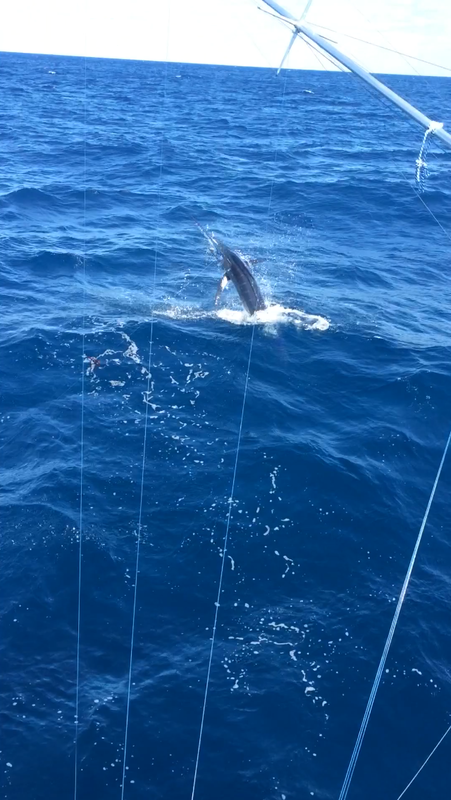 Jody was on for his first ever blue marlin and it was an awesome fight. We had the release in 18 minutes but the fish was still green and went down. Over an hour and a half later she came up for a great jump at the boat and we popped her off to let her go. Awesome fish! The wind came up so we hightailed it home after another hour of trolling. Fun day!! !